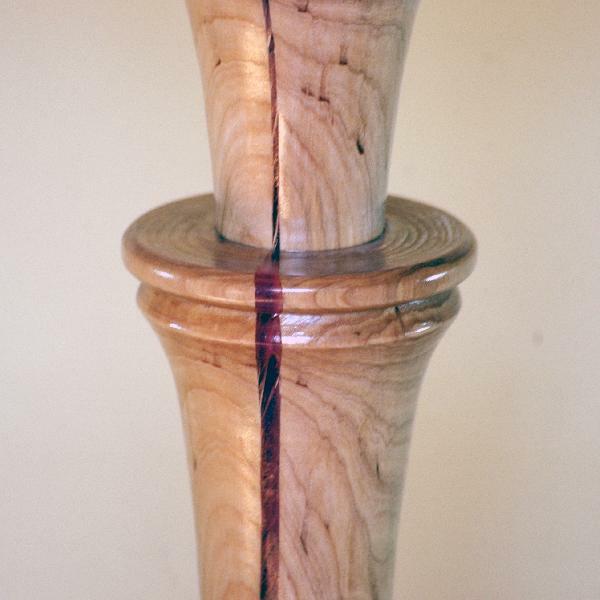 A handmade lamp with a tall carved wooden base. The natural cracks in the wood are filled with semi-transparent jewelry resin. Can be fitted with cloth or veneer lampshade according to your choice. A great rustic interior decoration for your living room or bedroom.